April, 2017 | Fulcrum ConsultingWorks Inc.
Rebecca explains how to plan a supplier conference so that everyone benefits. Here’s how to keep your best employees, even when you don’t have a lot of promotion opportunities. 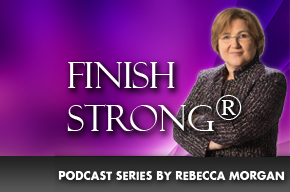 Rebecca discusses how to make your organization so enticing that potential customers can’t say no to you. Making your organizational metrics worth the cost, and your KPI’s truly KEY.